Desperately Seeking Surnames, Genealogy and Family History: Have Irishman...Need family - Is this him? No! My December 27, 2009 post was about Martin Conlin. I was given a photograph but it was not clear if that photo was of Martin or his son Michael. The owner of the photograph went back to the original and checked on the back. 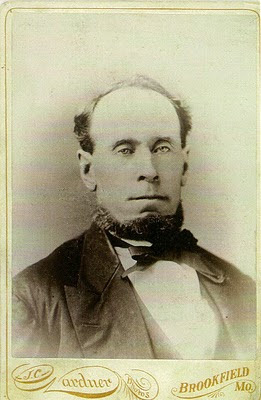 This photograph is of Michael Conlin the son. The search for information on Martin continues, stay tuned!